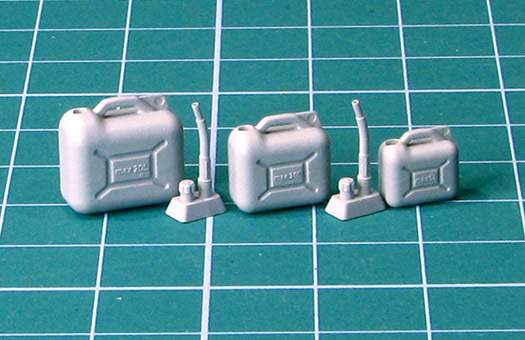 Modern “non-military” plastic jerry cans for fuel, lubricants or any other fluids. Quite often red with black cap or spout tube. 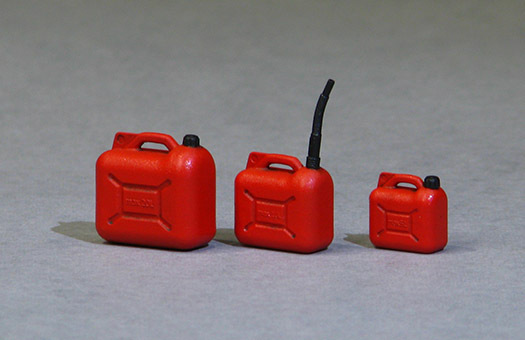 You have choice — glue cap or spout tube. Well… any colour you like? We think that saturated red or red with fluorescent flavour are very good choice but go to the nearest store or gas station and look what colours are available. Remember — this is California law, not worldwide one. 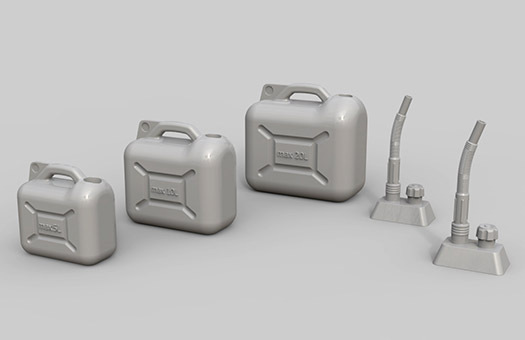 Set contains 7 resin elements in 1/35 scale.